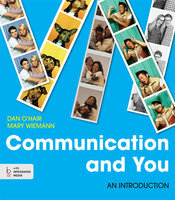 * For orders over $40, free ground shipping. 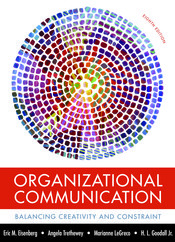 * Applies only to orders placed on this site." 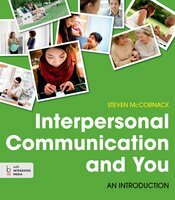 This best-selling brief introduction to public speaking offers practical coverage of every topic typically covered in a full-sized text, from invention, research and organization, practice and delivery, to the different speech types. 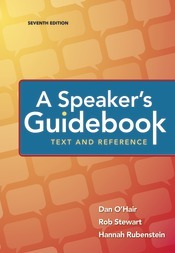 Its concise, inexpensive format makes it perfect not only for the public speaking course, but also for any setting across the curriculum, on the job, or in the community. 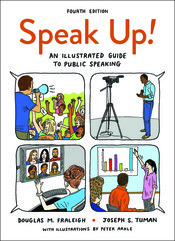 The Sixth Edition is filled with new examples, research, handy tools, and digital support to help students master the basics of public speaking in the classroom and beyond. 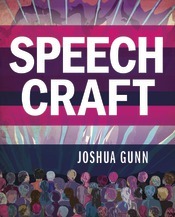 New speeches and examples from people like Will Ferrell, Emma Watson, and students from Marjory Stoneman Douglas High School engage students in current issues, demonstrate the impact of speech, and provide successful models. 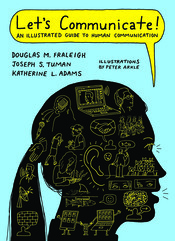 Practical advice on topics like how to determine which organizational pattern to use when, how to adapt to an audience, and how to incorporate inclusive language provide easy-to-apply guidance.The book’s LaunchPad has been greatly expanded with an eBook; new, professionally shot videos; unit quizzes; and a new video assessment program that makes recording video and providing instructor and peer feedback a breeze. 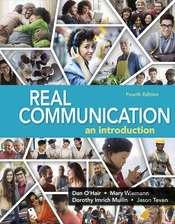 LaunchPad for Real Communication, 4e enriches students’ understanding of concepts explored in the course with a wealth of digital pedagogy that includes self-assessments, a video library and video assessment tools, and LearningCurve, an adaptive quizzing program that ensures students grasp the content they’re reading. 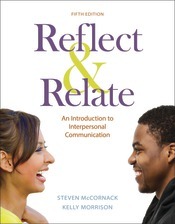 In Reflect & Relate, distinguished teacher and scholar Steve McCornack provides students with the best theory and most up-to-date research and then helps them relate that knowledge to their own experiences. 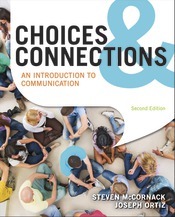 Engaging examples and a lively voice hook students into the research, while the book's features all encourage students to critically reflect on their own experiences. 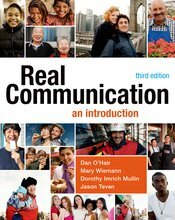 Based on years of classroom experience and the feedback of instructors and students alike, every element in Reflect & Relate has been carefully constructed to give students the practical skill to work through life’s many challenges using better interpersonal communication. 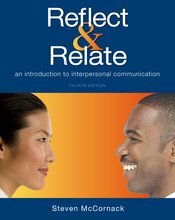 The new edition is thoroughly revised with a new chapter on Culture; new, high-interest examples throughout; and up-to-the-moment treatment of mediated communication, covering everything from Internet dating to social media.Reflect & Relate, Fourth Edition has its own dedicated version of Bedford/St. 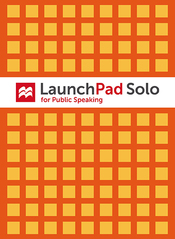 Martin’s LaunchPad, which brings together all of the book’s student and instructor media, making this a truly integrated print/interactive resource.